We are a family business that focuses on Reupholstering your Furniture with characteristics that describe you. We love to mix styles like modern and classic or industrial and glam-chic to give you a design that compliments your lifestyle and interests. Custom Furniture was founded in 1987 we started in the area of upholstery and then began to Upholstery new sofas and headboards, thanks to our customers and good work and effort we have had success. We provide services to all Cities custom furniture is bringing a new service that is hospitality furniture. Custom furniture does not have to be an expensive and hectic experience. If you are planning in updating the look of your home and need some custom furniture to go along with the renovations we can help. We provide free estimates to potential and existing customers who live in Sherman Oaks, we can go to your home or you can come to us and we can plan and talk about what you have in mind. After we have an idea for the furniture, we will then let our talented team build your dream custom piece. Furniture Builder and design. Residential and Commercial Upholstery. Color Choosing the perfect Furniture for your home décor can be intimidating. We’ll make the process easy and fun! 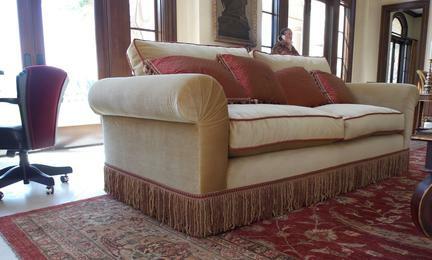 Our latest post upholstery projects made by WM Design Upholstery.